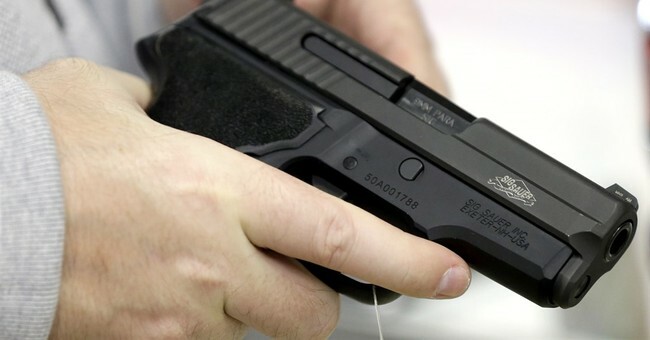 California Assemblyman Marc Levine (D) has proposed a new gun control measure: taxing the sale of semi-automatic firearms and using the money to support gun violence prevention programs, The Sacramento Bee reported. The proposal was a direct result of the shooting at the Borderline Bar and Grill in Thousand Oaks. Should the bill pass, the money would go to the California Violence Intervention and Prevention Program, which is overseen by the Board of State and Community Corrections. The BSCC then uses the money to send various grants to cities and community-based organizations. Last year, the program gave $8 million to communities ravaged by gun violence, The Los Angeles Times reported. Right now, it's unclear what the tax would look like but Levine's chief-of-staff said they're considering a $25 fee per firearm, which is similar to Chicago and Seattle's tax. Although the tax amount is not set in stone, it's estimated that it will bring in millions in additional revenue to the California Violence Intervention and Prevention Program. Levine must have missed the memo: pretty much every gun in America – or at least the ones that are accessible to civilians – are semi-automatic firearms. Yes, some people can purchase and/or rent fully automatic guns. But that is such a tiny, tiny number of people that it's almost non-existent. Or maybe Levine doesn't know the difference between semi-auto and fully automatic firearms, just like a lot of the anti-gunners I get in my Twitter timeline. So here, let's break it down. Since I have a bunch of anti-gunners in my mentions, here’s a basic lesson. Semi-auto = 1 round fires for each trigger pull. Full auto = rapid fire with 1 pull of the trigger. At least if anti-gunners are going to make these ludicrous laws, it would do them some good to know what they're talking about. Surely, no one can be stupid enough to tax practically every gun in existence. But then again, it is California.